I like to make little treat bags for the Easter table and have a lot of fun making different styles and designs. Sometimes its just as simple as a bow around a chocolate bunny and sometimes its all about the packaging and not the contents! These adorable boxes are so easy to make - you just need to start with a square of cardstock. 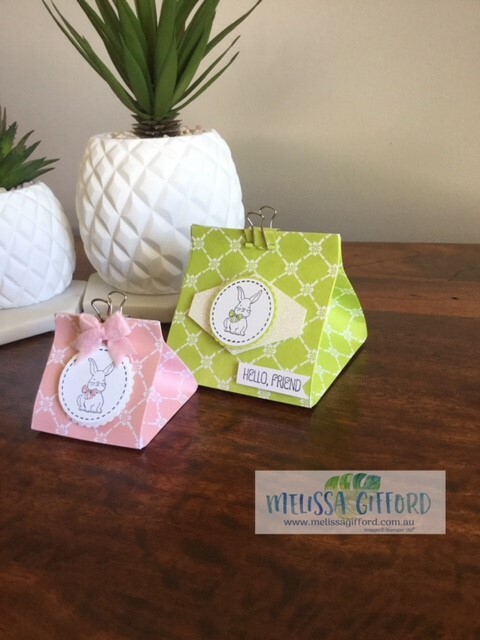 The lemon lime twist bag is a piece of designer series paper that measures 8x8 inches and the smaller powder pink one is 6x6. Both are still big enough to hold some little easter treats for family and friends. Here is a side view so you can see the size of the base of these boxes. 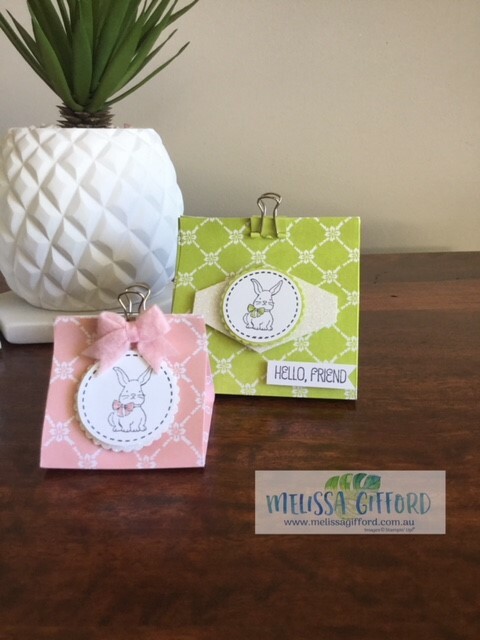 The adorable bunny comes from the A Good Day stamp set. He's just the right size for these boxes. Using the circle punches makes these quick and easy to mass produce and a touch of glimmer is always fun! Click on the image below to watch a video from Angie @ Chic n Scratch on how to put these boxes together.